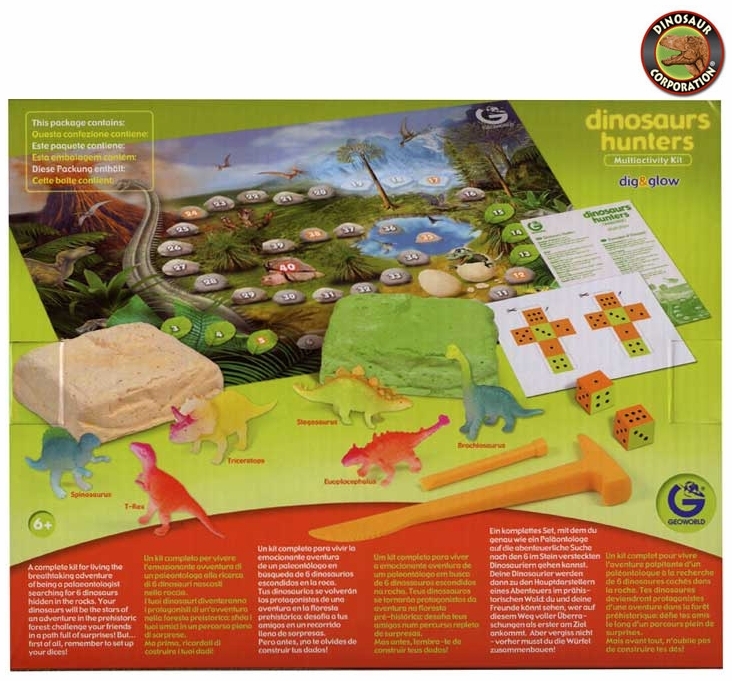 Glow In The Dark Geoworld Dinosaur Hunters Prehistoric Game. A complete kit for living the the breathtaking adventure of being real paleontologist searching for 6 dinosaurs hidden in the rocks. Your dinosaurs will be stars of an adventure in the prehistoric forest challenge your friends in a path full of surprises! But first of all, remember to set up your dices! Geoworld educational, challenging and fun creating dinosaur game developed for kids and adults loving everything Prehistoric.